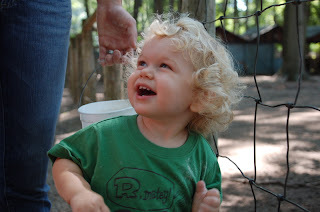 meredith, owen and i drove to niles, michigan on saturday. i thought the 11 hour trip with an 18 month old would be harder, but God really does answer prayer! he somehow did amazingly well and da da da dora really help the last 4 hrs pass by quickly, well, for him i guess. da da da dora got a bit on my nerves, actually got quite a bit on my nerves. 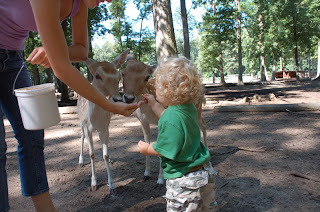 the next day we all packed up and took owen to a petting zoo called deer forest. 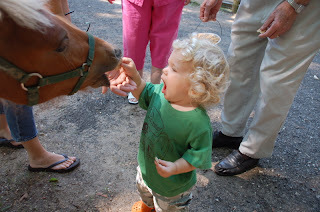 it was pretty ghetto for a petting zoo. i dont think anything has been cleaned or sanitized in decades. 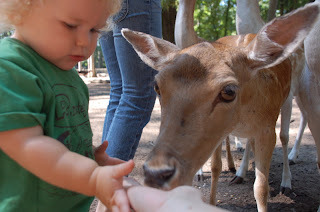 i know you cant sanitize wild animals, but at least wipe down the playground that was there. 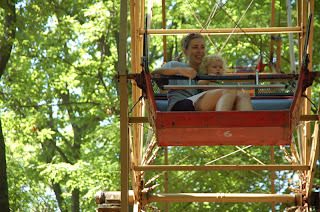 and now looking back at the ferris wheel that i dragged owen on, i can probably be safe to say that it probably wasnt that safe either.